Did/ does your bump have a name? When Ben was all nestled in my tummy Steve named him 'Bean' (as that's what he looked like on the very first scan at 12 weeks). The name stuck and we referred to my bump as 'Bean' throughout the pregnancy: "When Bean's born..." "We need to get the cot put up for Bean..." etc. We didn't know if we were having a boy or girl and just had a vague list of possible names for either. Strange then, that when Bean was born we settled on the name Benjamin, or rather, Ben. It was years later before it dawned on us that all we'd really done was remove the 'a' from Bean! One of my friend's named her bump 'Heff' after a strange dream where she wasn't actually having her husband's child but Hugh Hefner's! I say 'dream' but I think 'nightmare' would be a more adapt description of that scenario! This time around the scan was early (as we were going to France for a month) and so at 10 weeks and six days, there was no denying that bubba looked like, well, an alien. We were reluctant to call our baby 'alien' and so asked Ben what he would like to name the bump. 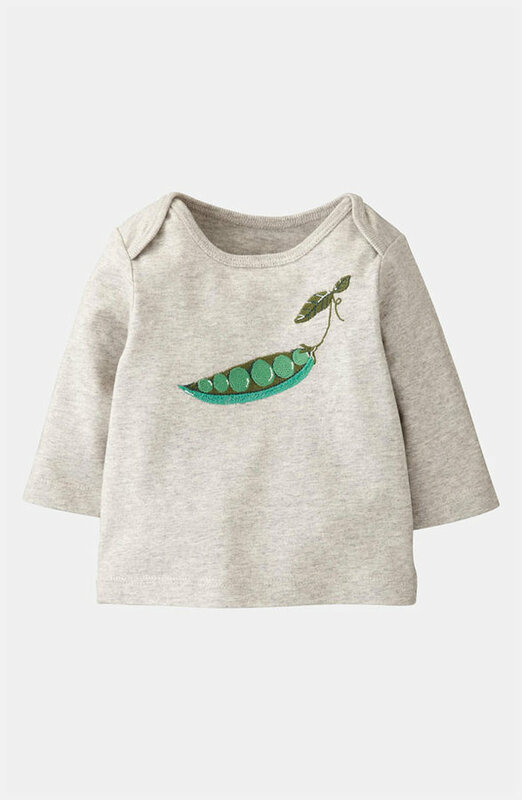 He came to some lovely logic: he decided that as he was 'Bean', this baby was to be called 'Pea', and then added that I'm 'the pea pod' as I'm keeping the baby safe and cosy! My little mammy heart melted! our own little Pea. I had a £10 voucher sent from Boden in the post too (for no reason) so I was thrilled that actually, this top worked out free! PS- a further thread on what other people named their bump-here! My hubby and I called our baby peanut all throughout my pregnancy. When we first told my sister I was pregnant she said it must be the size of a peanut (as I was only a few weeks gone) and the name stuck...until he popped out and was certainly bigger!! My youngest daughters last name is Rizzo when she was pregnant with her first child she would call her bump Baby Rizzo by the end of her pregnancy her bump was named BIZZO a combo of baby Rizzo.